In less than one week it will be November!!! Which is so crazy and also reminds me that I need to finish Luke’s Halloween costume! I don’t mean to scare anyone, but today I bought my first Christmas present. EEEK! I always say I’m going to start early but this year I’m really committed. I’ve been feeling busier than ever and I know it will significantly help my stress levels in December if I start to prepare now. That brings me to some exciting news!!! Did you know that the majority of my styling business is made up of e-styling clients? What is “e-styling” you might ask? When I launched my business 8 years ago it was completely local. Over the years (and with the help of the internet and social media) it has evolved and now I find that almost half of my business is spread all over the US. Because I can’t be jet setting all over the country to shop with you in person (I wish!!!) I have created an e-styling option for clients. Whether you need help with an upcoming event, a closet refresh, or gift-giving ideas, I’m here for you! 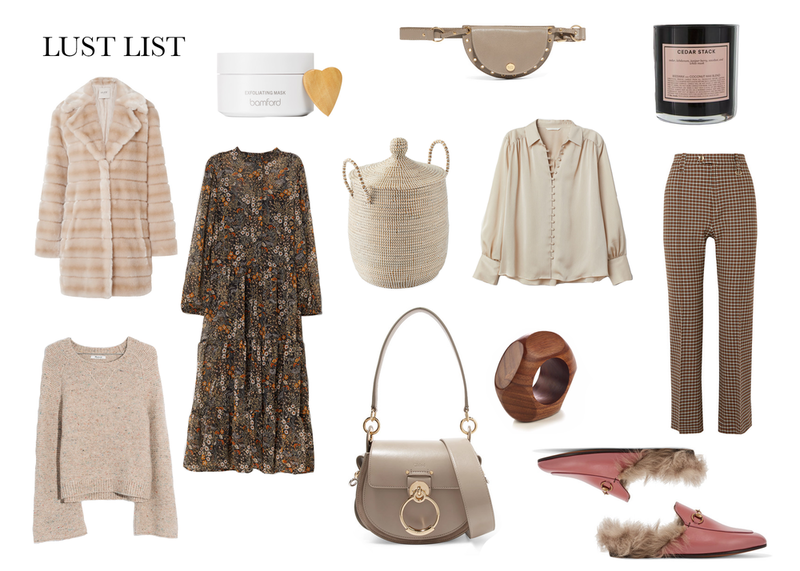 You will receive curated shopping guides tailored for you (much like my weekly Lust Lists). Posted on October 26, 2018 by Stephanie Trotta.